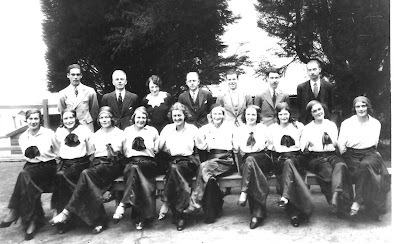 Athol Farrell, 2nd from right in the photograph, worked at the Katoomba Empire Theatre as a projectionist, while wife Marj worked at the Niagra Cafe. 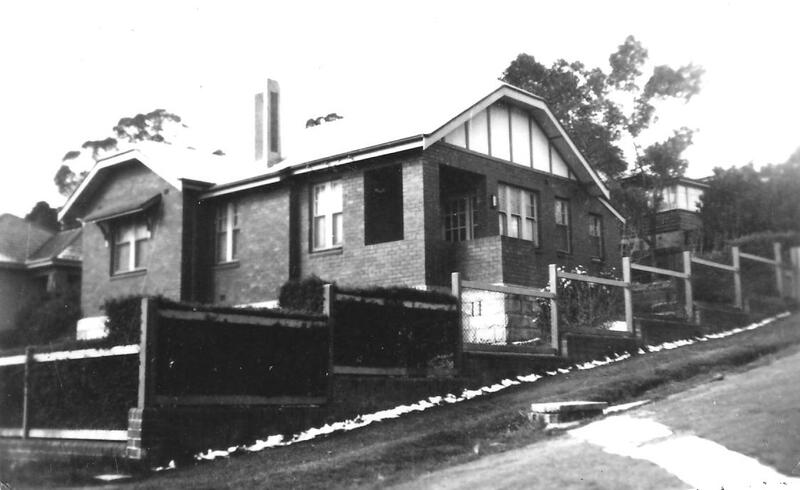 Marj and Athol lived in the cottage 'Glynfarg' located on the corner of Bowling Green Avenue and Dora Street, Katoomba. 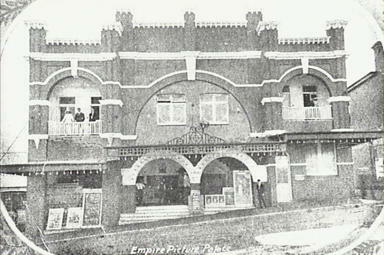 The Empire Theatre, 73-75 Katoomba Street, Katoomba was designed by prominent cinema architects Guy Crick and Bruce Furse for A.H. Small and A. Seller. The doors opened 16th January 1915. In 1920 the property was sold to Katoomba Theatres, a Joynton Smith Management Trust enterprise who later acquired the King and Savoy Theatres in Katoomba. Described as prettily designed, the theatre drew large crowds most nights to view the latest picture. It would seem that Peter Dawson was manager of the Empire Theatre according to a testimonial given to Athol, dated 24.3.1937. 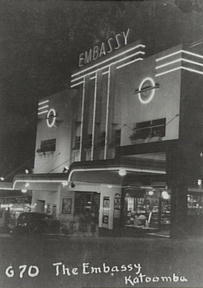 The theatre was refurbished in 1936, and as the photograph below illustrates, renamed the Embassy Theatre. Its seating capacity of 843 was somewhat large by modern day standards. The property was sold to G.J. Coles & Co. in 1954 for the sum of fifty thousand pounds and remodelled by McDonald Downie and associates. Since then it has been occupied by a number of discount stores and the milk bar by various food sellers. Photographs 2 & 3 by Shirley Evans. Letter in the possession of Shirley Evans. * Any information about the staff or theatre would be appreciated. I was interested to see that house on the corner of Dora Street and Bowling Green Avenue. My step-father lived there as a child in the 1920s and 30s. His parents built the house. The people you mention, must have bought the house from his mother after his father died in 1942.